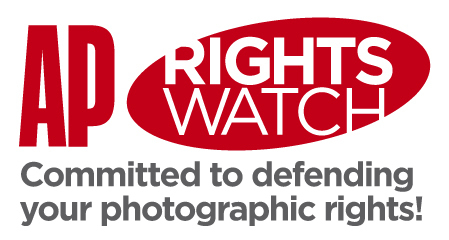 The plight of innocent amateur photographers who continue to be stopped by police under counter-terrorism laws - leading to a campaign kick-started by AP - was debated at length in the House of Commons yesterday. The plight of innocent amateur photographers who continue to be stopped by police under counter-terrorism laws was debated at length in the House of Commons yesterday. Amateur Photographer magazine’s campaign to defend the rights of photographers to take picture in public places, unimpeded, was also mentioned in the House. Conservative MP John Randall, a keen photographer, drew MPs attention to several incidents from his Uxbridge constituency, including the case of a man in his ’70s who was stopped by a Police Community Support Officer (PCSO) while taking pictures in Windsor. Another involved a former member of the RAF who, said Randall, was stopped outside a shopping centre by a PCSO who ran a police check over the radio before confirming his innocence. Andrew Pelling MP then added his own personal experience to the list of police stops when he recounted an incident in which he was stopped for taking pictures of roadworks near East Croydon station. 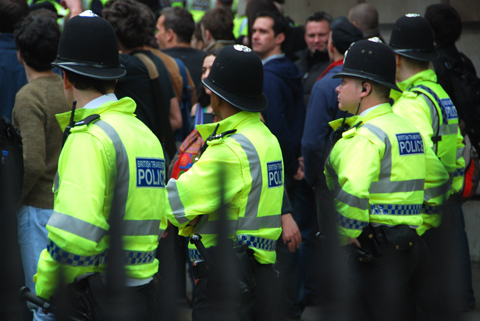 Randall supported the need for police to be issued with a photography code, as proposed by Austin Mitchell MP last year. He also raised photographers’ concerns over section 76 of the newly introduced Terrorism Act 2008 which makes it a potential offence to take a photo of a police officer. ‘I understand that there is a fine balance to be struck between allowing people the right to take photographs and dealing with the other issues that we must consider? But there is a right for people to take photographs and we must ensure that it is not subsumed by hysteria and a state that has become too keen on surveillance,’ said Randall. The government acknowledged the importance of the debate, a topic which it said has attracted ‘considerable interest’. Referring to officers’ right to stop-and-search members of the public, Malik added: ‘My hon. Friend the Minister for Security, Counter-Terrorism, Crime and Policing [Vernon Coaker MP] has met with several MPs and with representatives of Amateur Photographer to discuss the issue. Responding to concerns raised over Section 76 of the new terrorism legislation Malik said: ‘It has been suggested that the new offence could criminalise people taking or publishing photographs of police officers. ‘A photograph of a police officer may fall within the scope of the offence, but would do so only in limited circumstances. The offence is designed to capture terrorist activity directed at members of protected groups which, sadly, we know occurs. ‘An offence might be committed, therefore, if someone provides a person with information about the names, addresses or details of car registration numbers of persons in the protected groups. Malik confirmed that the Home Office plans to issue a circular concerning Section 76, to ‘all police officers’.